Occupying the top of the USA’s region of New England, Maine is the 39th-biggest state (or, twelfth-smallest state) in the country and in the top ten least populous states. With a stretch of coastline along the Atlantic Ocean, Maine shares land border with New Hampshire and the Canadian provinces of Quebec and New Brunswick. It is the only state (of the contiguous states) to have a border with just one other US state. The 200+ miles of coastline feature beaches, craggy rocks, jagged cliffs, lighthouses, and charming fishing villages. Myriad islands, in all shapes and sizes, are scattered off the coast. Moving inland, the state has undulating mountains, dense forests, pristine lakes, and sparkling rivers. There are cosmopolitan cities filled with sightseeing opportunities and quiet towns where life seems to have slowed down. While English is the main language in Maine, don’t be surprised if you run into a few Francophones too; French is fairly widely spoken in some parts of the state. Although the precise roots of Maine’s name are unclear, it is thought to have French origins. Talking of names, Maine is the only state in the USA whose name has just the one syllable. Seafood lovers can have a feast in Maine; it’s especially known for its fresh lobster and clams. Indeed, almost 90% of the USA’s lobster is caught in the waters around Maine. Food-related, Maine is also the nation’s largest producer of blueberries. A rather odd fact: 90% of all toothpicks made in the USA come from Maine too! Maine’s Acadia National Park is the USA’s second most visited national park. Eastport is the USA’s most eastern city, and it is the first place in the country to see sunrise each morning. Other interesting facts about Maine include that it had the first veteran’s hospital and sawmill in the country, it saw the first naval battle during the Revolutionary War, and it had both the USA’s first chartered city and the first incorporated city. 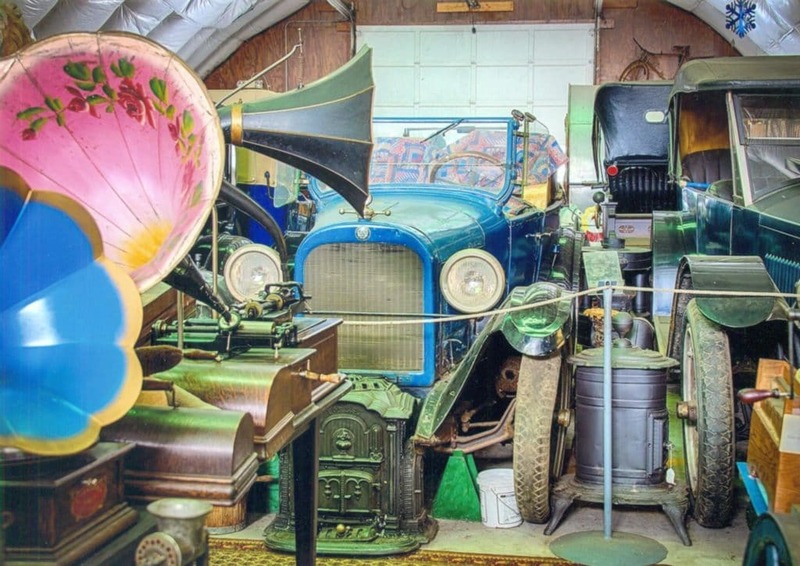 The Bryant Stove and Music is a repair shop turned museum that displays the collection of a local couple, Bea and Joe Bryant. Originally, the couple fixed up old stoves to resell them and make a profit. What started as a hobby, however, grew into something much bigger. Collecting since the 1960s, the Bryants found themselves with hundreds of stove one day and so the work became full time. They still repair and sell stoves, but they keep some of the more unusual and attractive ones to stay on display in the museum. Old-fashioned, quaint, and completely different to the modern stoves of today, some of the exhibits were originally made in the 1800s. It’s really quite interesting to see how beautiful kitchen equipment was in the past! The collection spread from stoves, and now contains an assortment of old items, including antique cars, musical instruments, and dolls that are charmingly arranged as though they are visiting the circus. 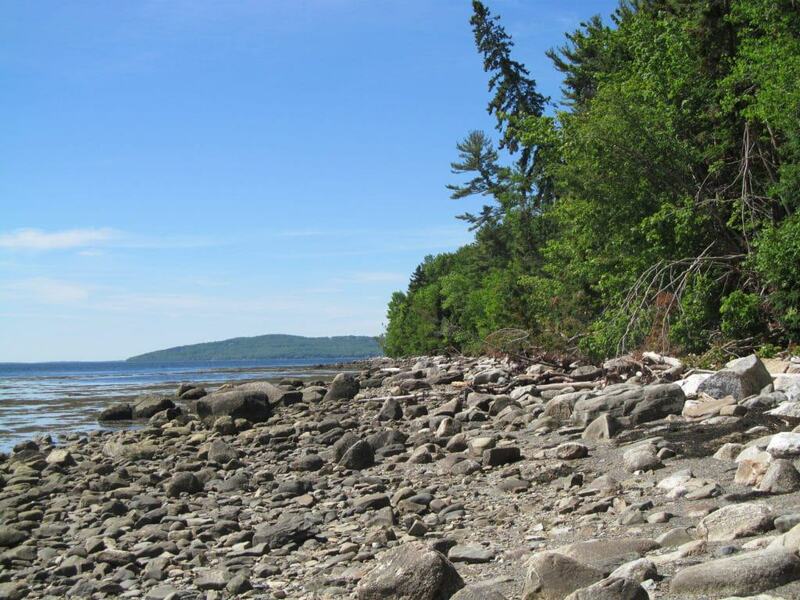 Moose Point State Park, on Penobscot Bay, was originally a dairy farm. The large farm had a house, a barn, a silo, and, of course, many cattle. It was turning a good profit until a devastating fire swept through the farm in the 1920s, destroying many of the structures and causing chaos. After the fire, the land sat unused for several years. Rather than try to salvage the farm the landowners eventually offered the farm to the state to be used as a public park. 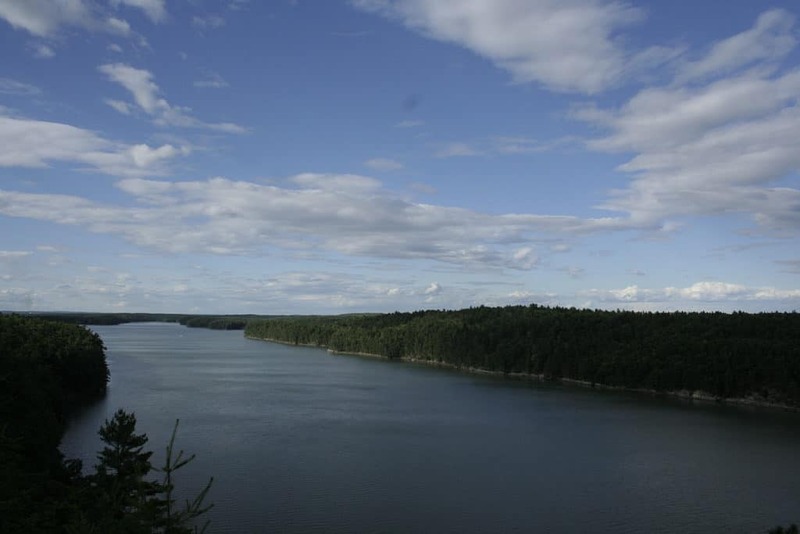 And so, Moose Point State Park came into existence in the early 1960s. A peaceful park that many people don’t know about, those who do spend a day here can enjoy long walking trails along the coast and through the woods, terrific views, and wildlife spotting. The tide pools appeal to kids especially, where they can poke around and find small marine creatures under the rocks. The open field is perfect for ball games and running around, and, on warmer days, you can swim in the sea. There are public-use grills for a summer BBQ as well as picnic tables. Located a few miles outside of the town centre and away from the beach, many visitors to Maine’s Ogunquit remain oblivious to the museum’s existence. Housing Mid-Century Modern works, the small museum’s collection contains several significant pieces from the World War eras. There is a particular focus on artists from major art colonies around the state, and it is the only art museum in Maine that focuses entirely on art from America. The building may be fairly small but it manages to pack in more than 1,500 pieces—there’s definitely enough to keep art enthusiasts content. Established in 1953, some of the museum’s most important pieces include sculptures by Carl Walters, graphic pieces by Jack Levine, and works by Edward Hopper, Alexander Calder, Will Barnet, and Reginald Marsh. In addition to the extensive permanent collection the art museum regularly hosts temporary displays. These may showcase the works of a particular artist or revolve around a certain theme. Replacing several earlier libraries in the town, Camden Public Library opened in 1928. It was funded entirely by the efforts of local people, with various events held to raise the money needed. The land was donated. 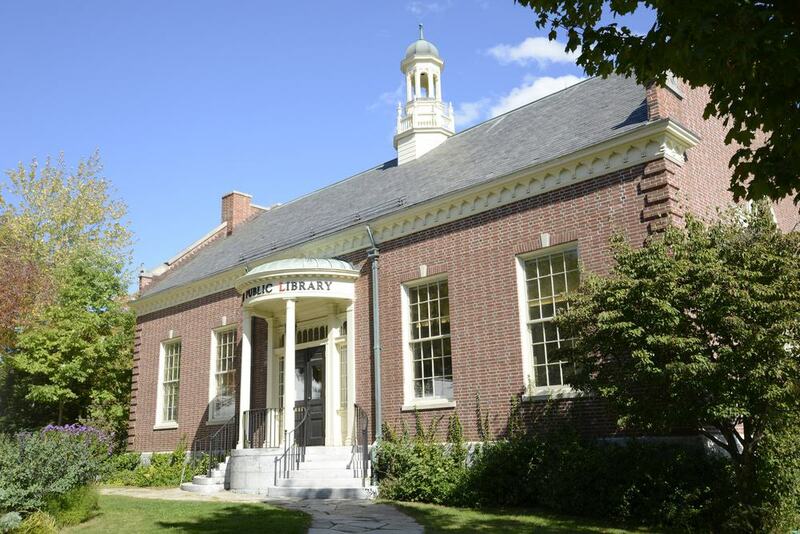 Sitting in lovely landscaped grounds, the library is now listed as a National Historic Landmark. While many people know about the library, few visitors bother to take a look inside. Tourists may wonder what the point is of going inside a library. Of course, there are many books, shelves of books on various topics and covering many genres. But the library has another secret hiding away—a delightful reading room. A quiet sanctuary where you can immerse yourself in the pages of a gripping read, the comfortable reading room also provides excellent views of the harbour and surrounding areas. Settle into a cosy chair in front of the fireplace and soak up the vistas. The reading room has computers, magazines, and newspapers. It’s the perfect place to escape for a few hours of tranquility. Head to Union and you’ll find an enormous bottle looming larger than life over the Matthews Museum of Maine Heritage. The gigantic bottle has been shunted around a fair bit since its creation in 1906. Originally made for promotional purposes, it made its debut at the New England Food Fair in the early 20th century. After the fair, nobody really knew what to do with the oversized bottle. It had a few temporary homes, including at Luna Park on New York’s Coney Island and at Pine Island Amusement Park in New Hampshire. By about 1920, the amusement park was bored of the bottle, and it was moved to nearby private land. When this land as sold in the 1980s, the bottle was once again a stray. 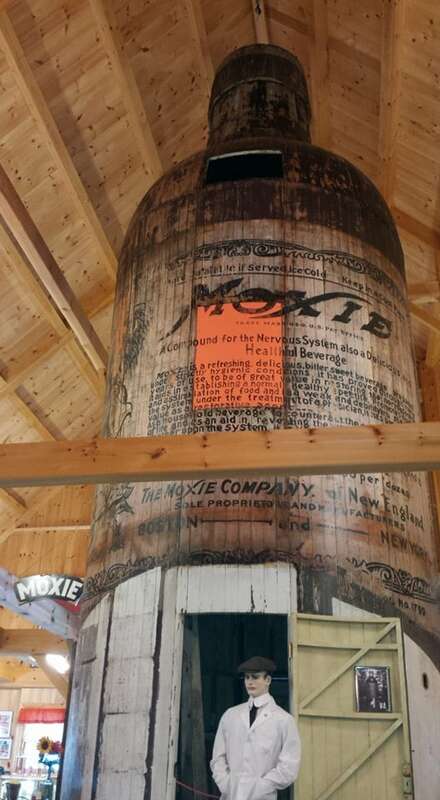 Bottle-loving citizens raised the necessary funds to have it moved to Union where it is now part of the museum’s collection dedicated to Moxie. If you’re unsure as to what Moxie actually was, it was a type of soda that was popular around the New England area. Created in the 1870s and now no longer made, it had a taste that was like a combination of root beer mixed with vinegar mixed with a splash of motor oil! Despite its obscure flavour, it was much-loved by many people. The 32-foot-tall bottle remembers the beverage and pays homage to its acquired taste. Located close to Blueberry Mountain in Evans Notch, the delightful Rattlesnake Flume makes for the perfect end to a day of hiking. 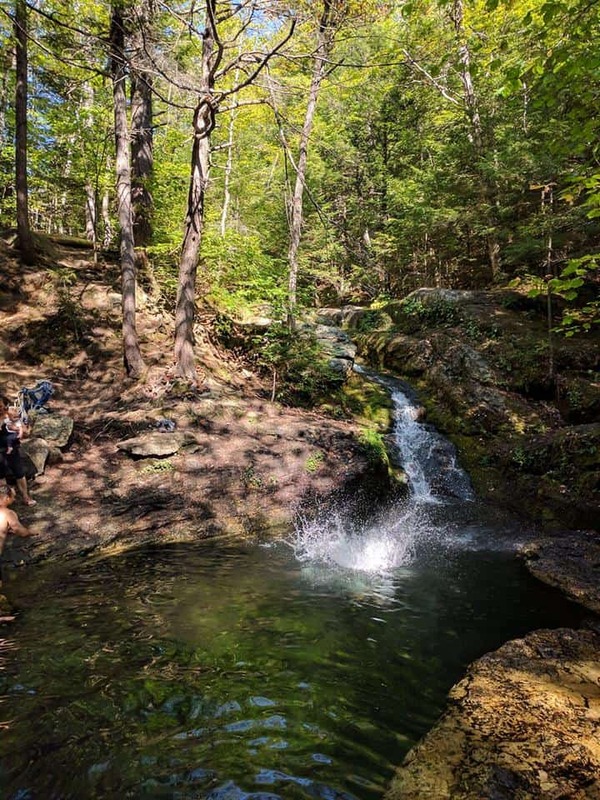 An easy hike leads to the waterfall, although you can make your adventures much longer and include the summit of the mountain and surrounding trails before making your way to the falls. For a fairly easy walk, park your car near Shell Pond Road and begin with a frolic in a grassy field before reaching the trailhead. Basic markers point the way for the Stone House Trail. Ignore the small bridge that leads to Rattlesnake Gorge and continue up the hill, eventually coming to a small sign that points the way for Rattlesnake Flume and Pool. The stunning swimming hole is a joy to behold. Crystal clear water tumbles down the rocks, creating a bewitching deep blue pool at the bottom. Surrounded by verdant foliage, the views are postcard worthy. Brace yourself—the water is chilly—and plunge into the inviting pool for a swim. When you’re ready to leave, simply retrace your steps to return to your vehicle the same way that you came to the pool. The return journey is about two and a half miles. Founded in 1985 by the late Philip Stein, the Stein Glass Gallery in Portland is perhaps one of the most unique glass galleries in the country. Established as a place where Mr. Stein could display and sell his unique glass pieces, the gallery evolved over the years to include delicate and attractive glass-made items from other skilled artisans too. Today, the gallery showcases the immense skills if the nation’s talented glass artists, containing striking and fragile pieces from more than 100 craftspeople. Some of the artists are already well-established in their field whereas others are relatively new names. As well as decorative works and ornaments you can peruse a range of functional items made from glass. There are vases, beer, wine, whisky, and shot glasses, colourful window panes, diverse items of jewellery, lamps, paperweights, unusual ornaments for the home, office, and garden, and more. Who would expect an arid patch of desert in Maine? 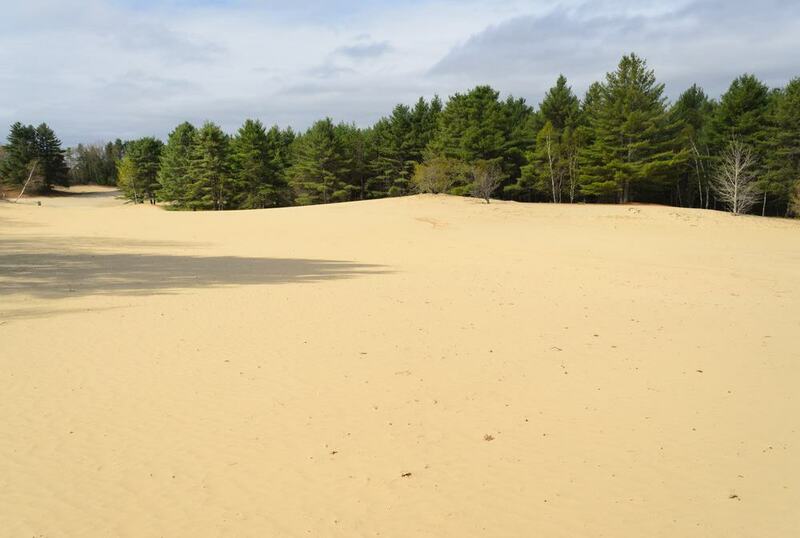 Surrounded by green pine trees, the sandy “desert” is an unusual sight. 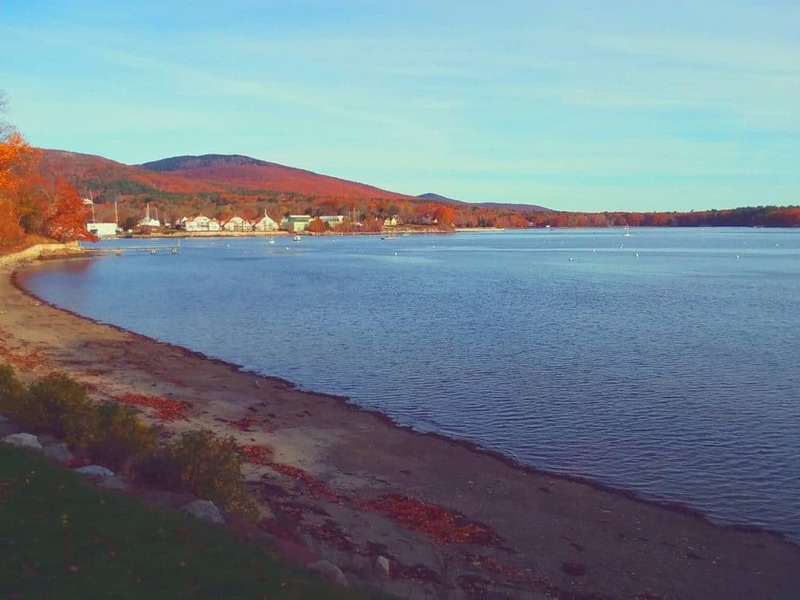 Covering 40 acres of land, the Desert of Maine was used for farming way back in the 1700s. The land yielded healthy potato crops in times gone by but neglect, mistreatment, and over-grazing led to the fields becoming a patch of useless, sandy sediment. Glacial salt had been lurking underneath the top level of soil, waiting to make an appearance. The poor farming gave the sandy salt its chance to see daylight. The land was subsequently abandoned, no longer fit for its intended purpose. 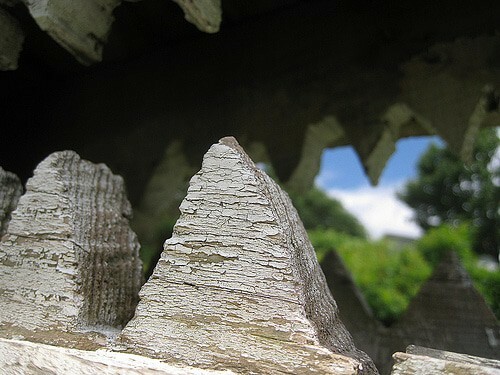 The weird terrain started to attract inquisitive visitors and was eventually called the Desert of Maine. Today, people can stroll through the sands and walk across the dunes. There is a small onsite museum and, for a unique souvenir from Maine, you can bottle some of the sand to take away with you. 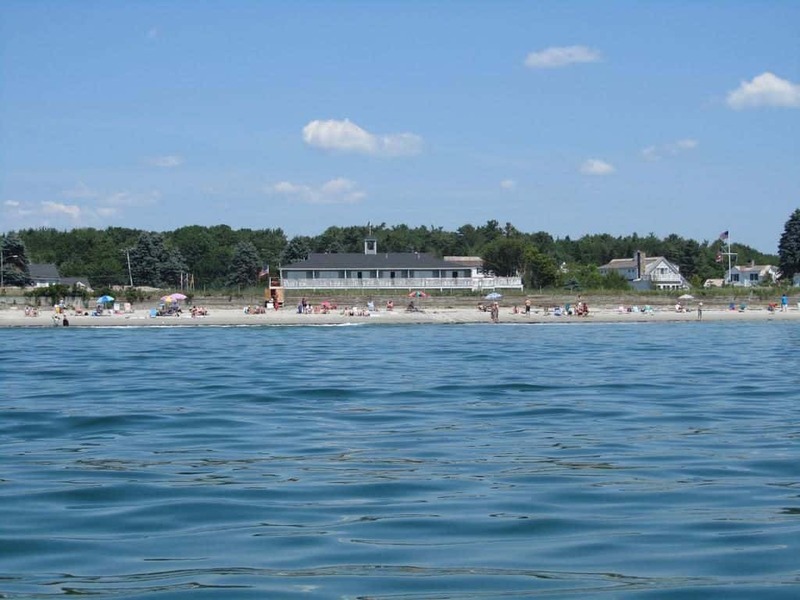 Kennebunk is a fairly popular town and beach in Maine. If you’re looking for a spot to escape the crowds at the end of each day, check in to The Seaside Inn. The inn has been in the same family for many generations, with the present hosts being able to trace their inn-owning ancestors back to the 1660s. Traditions and fine hospitality are alive and kicking here. Close to the beach yet tucked away enough to be private, guests can soak up the beautiful views as they relax in the outdoor hot tub. It certainly makes a change to the salty water of the sea. Feel the gentle caress of the sun’s rays as you laze on the sun terrace and enjoy the feeling of not having to shake sand out of your towel when you want to move. Other hotel facilities include a fitness centre, free Wi-Fi, and free-to-use bikes. All rooms are en suite and have a balcony. Each comes with cable TV, ample storage space, and air-conditioning. A fabulous bonus is the included breakfast each morning—put a spring in your step with a hearty home-cooked meal. Located around 20 minutes from Rockford, Olson House is a run-down colonial farm house with artistic connections. 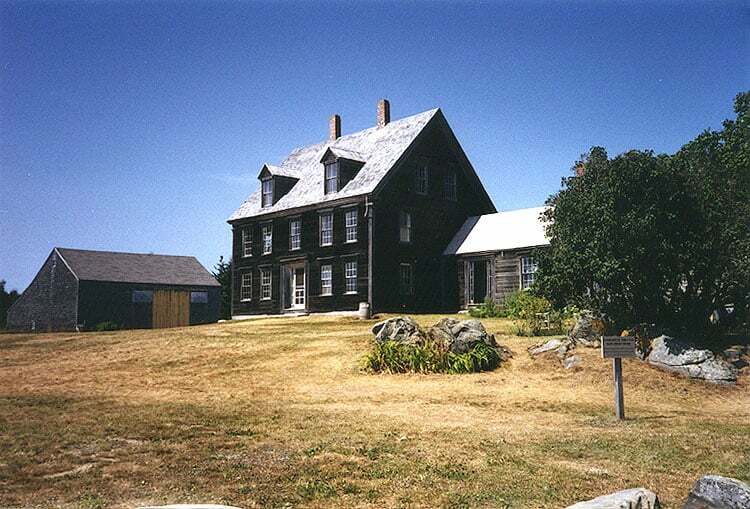 Today a National Historic Landmark, the dwelling dates back to the late 18th century. It has seen many changes over the years. 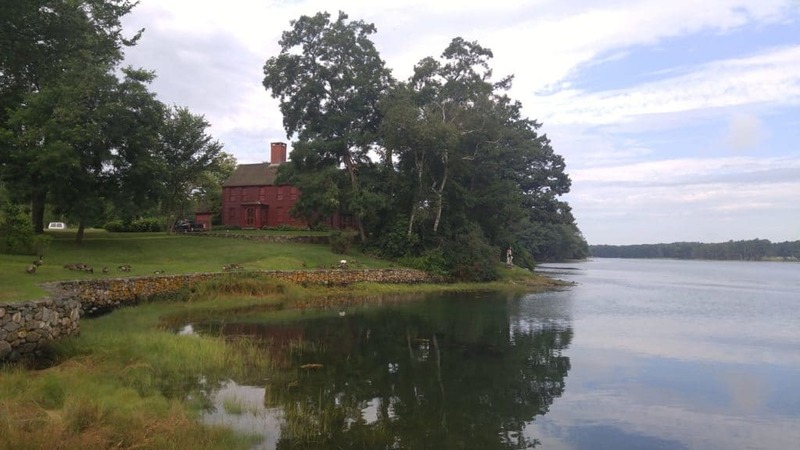 Inherited by a brother and sister, Alvaro and Christina Olson, the home was the setting for a painting by Andrew Wyeth, which eventually became famous in the American art world. Entitled Christina’s World, the thought-provoking painting tugs on the heart strings by portraying Christina sitting on the grass, looking towards a home and other buildings in the distance. Christina couldn’t walk, having lost the use of her legs when she contracted polio. Wyeth found the farm and its inhabitants enchanting, maintaining a studio at the farm and creating many paintings of the area and its people. The Olson siblings are buried in the family graveyard and the house is now a museum. It has been kept almost as it would have been when the brother and sister lived here and when Wyeth was creatively inspired. Wild and untamed, the striking Bold Coast Preserve in Cutler sees few tourists. Stretching across more than 12,000 acres, the coastal area encompasses a variety of ecosystems and environments. The public lands include dense wildlife-rich woodlands, wetlands, areas of boggy peat, gorgeous headlands, small coves, pebbly beaches, wildflower-filled grasslands, and patches where wild blueberries grow in abundance. Adventure seekers can enjoy glorious walks with stunning views along ten miles of hiking trails. Make sure to walk along the cliff tops for the most awesome vistas. Keen bird spotters will be in their element here, with more than 200 species of bird having been recorded in the area. They include owls, ravens, gulls, sparrows, and warblers. Look out towards the ocean in summer and autumn and you might be lucky enough to catch a glimpse of seals, porpoises, and different types of whale. The flora is also diverse, with several plants growing here that are difficult to find in other parts of the state. 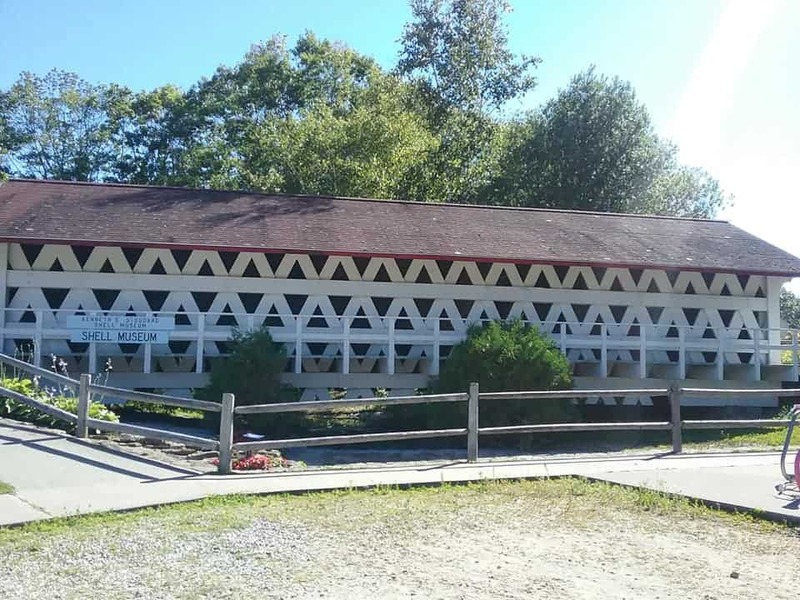 An unusual museum with a sad origin, the Kenneth E. Stoddard Shell Museum is one of Boothbay’s quirkiest attractions. Kenneth E. Stoddard served in the navy in the Second World War. His duties led him throughout the South Pacific region. He amassed a large collection of seashells on his travels, visiting local beaches to collect pretty specimens to send home to his family. Over the years, the family had hundreds and thousands of shells collected with love from many beaches on islands and mainland coasts. The shells sat gathering dust up in the attic for many years. It was only when Mr. Stoddard was diagnosed with cancer that the shells came into focus again. His son, Lee, promised his dad that he would create a space to display his many finds. And so, the Kenneth E. Stoddard Shell Museum was born. Lee continues to collect and display shells in his father’s memory, and the museum has become one of the biggest private collections of shells around the world. Travel back into the past at the charming Museums of Old York. Created when three historic organisations decided to combine forces and join together, the establishments can trace their roots back more than a century. The village offers a glimpse into a long-ended era, a window into a traditional Old England town where life was slow and fairly sweet and nothing of major note really occurred to disturb the peace. York was one of the first places in the country to be settled, and it was named after the famous northern English city. Once a bustling centre of marine trade, the town grew and grew. The Museums of Old York works hard to preserve the vibe and appearance of a town of old. It includes several old buildings as well as a library where people can trace their family histories and complete branches in their family trees, a modern art gallery, and a visitors’ centre. Buildings include the old jail, an inn, a school, a warehouse, and several once-private homes. You can either explore the site independently or listen to intriguing local tales with a guide. More of an unusual gem than a hidden secret, Wild Blueberry Land is dedicated to the state’s official fruit: the tangy blueberry. The theme park may be small but it’s definitely unique. 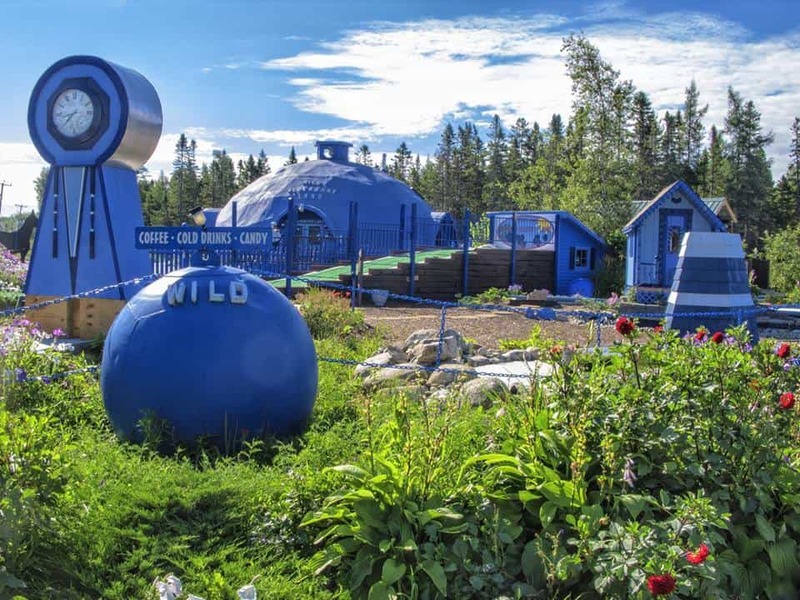 Painted in bright blue, the seven acres are crammed with blueberry-related attractions. The main dome is brimming with tasty treats, including freshly baked blueberry pies, muffins, cakes, sweets, breads, and more. Blueberry-shaped statues are scattered throughout the park and kids and adults alike can try their hand at the mini golf course where, of course, the blueberry reigns supreme. Visitors can learn more about blueberry cultivation as well as the huge assortment of products that can be made using the berry. The educational program promotes local small-scale farming, as well as teaching interested visitors more about the area’s agricultural heritage and gardening. Photogenic and a little bit bizarre, the park also offers terrific views of Acadia National Park, with the peak of Cadillac Mountain looming in the background. A seasonal attraction, even when closed the blue shades present a pretty picture from the side of the road. 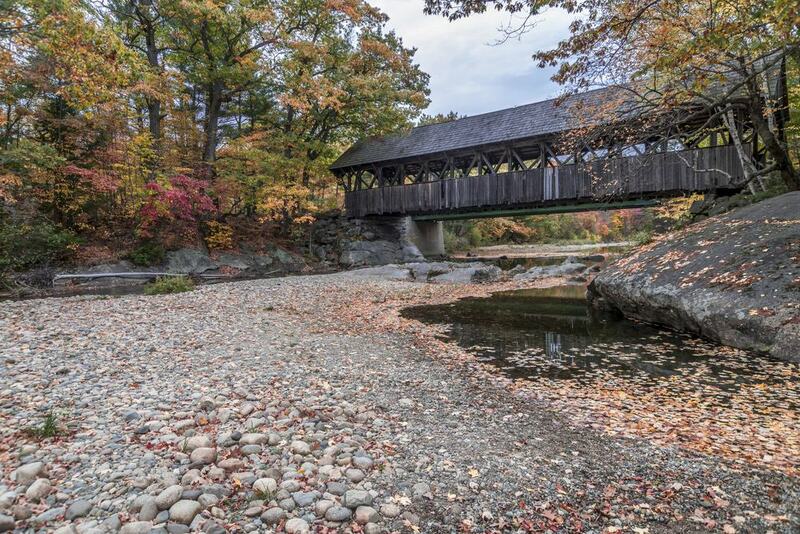 A small but charming covered bridge that crosses the Sunday River, the Artist’s Bridge is a local gem in Newry. The 100-foot-long bridge was built in the early 1870s. The artist after which the bridge is named was John Enneking, one of the earliest impressionist painters from the USA. John Enneking was a Union soldier during the American Civil War. After the end of the war he focused on his true passion: painting. After visiting Europe he returned to the USA and became known for his beautiful depictions of New England’s striking landscapes. The artist was drawn to Newry many times, choosing to sit next to the historic bridge to paint the surrounding scenes. Because of his penchant for the bridge locals started to call the bridge the Artist’s Bridge and the name stuck. Although there’s no art here it’s easy to create your own beautiful pictures in your mind’s eye as you soak up the picturesque scenes that so inspired the artist of times gone by. Did you ever pause to wonder how, in the olden days before the use of freezers, how restaurants and homes sourced their ice? It’s perhaps not a question that you’ve ever spent too long pondering, but it’s something that, once discovered, is really quite fascinating. 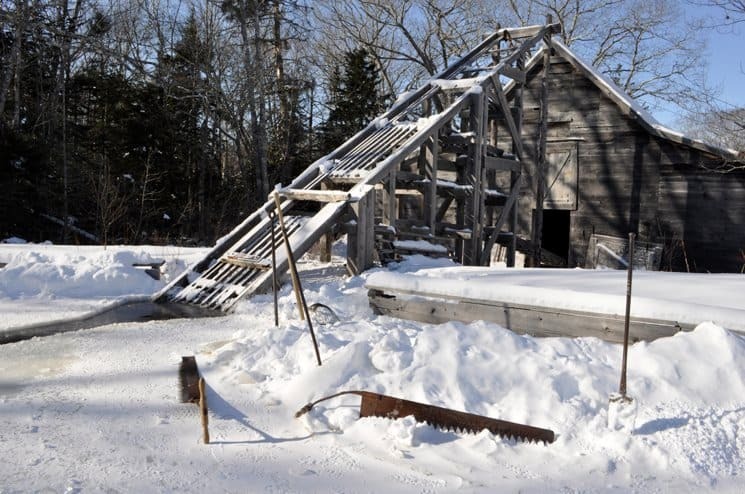 Learn about old ice harvesting practices at Thompson Ice House Harvesting Museum, a family-run venture that has been collecting ice from a small pond in the east of the state for some two centuries. Discover how ice was transported from Maine to around the USA and beyond. Although now completely unnecessary, in the past, large blocks of ice were carefully cut from the pond and stored in straw and sawdust for up to several months to prevent it from melting. The Ice Trade was once a roaring New England industry. Of course, it became redundant after electric freezers became popular. The Thompsons, however, continued to harvest ice up until the mid-1980s. They then switched to be an informative museum to keep the ice traditions alive and educate others. If you value lashings of luxury and plenty of peace and quiet when away from home, book a sojourn at the Inn at Sunrise Point. 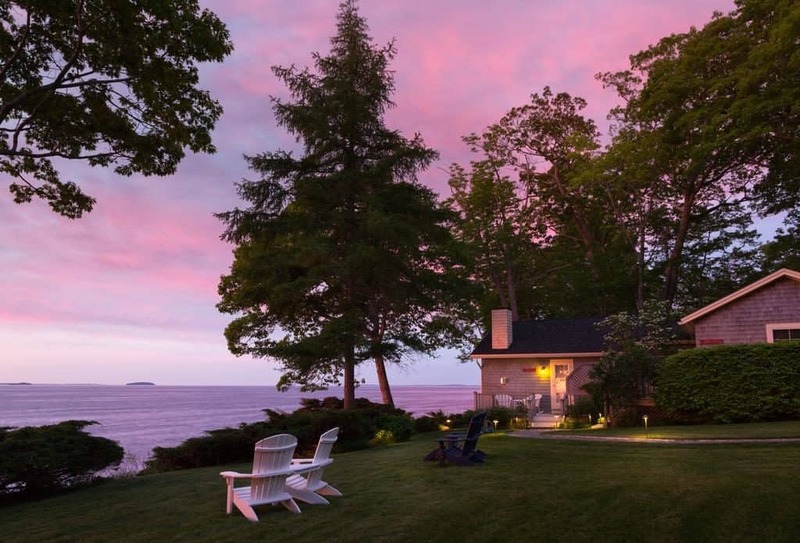 Easy to reach from Coastal Route 1, the property sits in blissful seclusion surrounded by nothing but empty space. Romantic, tranquil, and private, you may wish that you’d booked to stay for longer! There’s a choice of rooms within the main building or cute little cottages set around the grounds. Most offer good views of the ocean. All guests can chill out on their private deck or balcony with a cup of local coffee or snuggle in front of their fireplaces. Each room has a private bathroom, a fridge, and air-conditioning. Onsite amenities, facilities, and services include a hearty inclusive breakfast, a spa, lush gardens, a shared lounge, hot drinks throughout the day, and a bar. Set your alarm and wake up early to enjoy some of the most splendid sunrise views that you could imagine. Although Maine has many marvellous beaches, it can be quite difficult to find one that is both attractive and free from hordes of visitors. If you want to enjoy the sun, sea, and small pebbles in relative peace and quiet, head to Camden’s Laite Memorial Beach. The water quality is monitored at the small beach, meaning that you’ll know whether or not it’s suitable for swimming. (It usually is.) Jump off the platform and into the cold waters of the Atlantic Ocean for a quick cool down on a hot summer’s day. Do note, however, that there are no lifeguards stationed here so you are responsible for your own personal safety as well as for any children that you’ve brought along for a day out at the seaside. A lovely hidden gem that cannot be spied from the road, there is also a nice hilly park close to the beach. Enjoy some al fresco dining at the picnic tables and cook up a storm at the BBQs. Younger visitors are sure to enjoy burning off energy at the play area. A cool little shop in Portland, Siempre Mas is a great place to give back to the world as well while indulging in a little retail therapy. Packed with appealing items from overseas and at home, it’s a one-stop shop for sourcing a diverse selection of unique gifts and souvenirs. Clothing wise, expect to find t-shirts, sweaters, scarves, accessories, and other items of clothing in various materials, including silk and cotton, and with different designs. 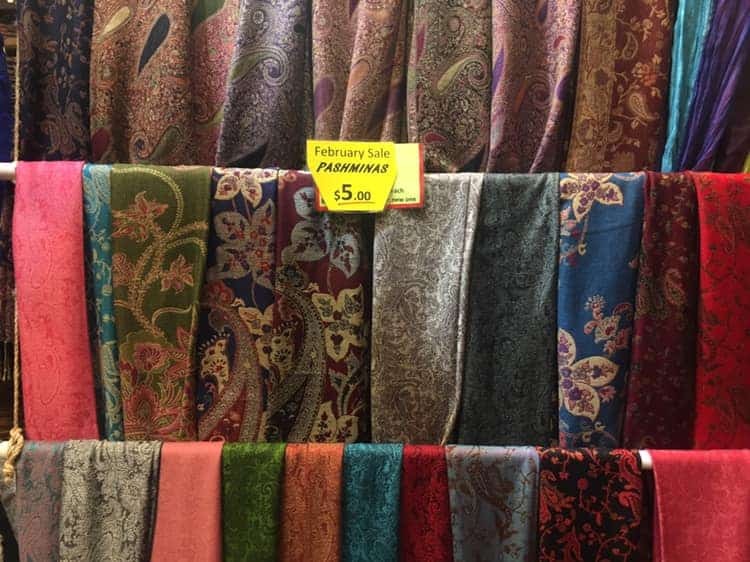 The Indonesian-style batik scarves are particularly beautiful. When it comes to trinkets and knickknacks the shop has a wide selection of fridge magnets, pencils, keychains, badges, postcards, and more. Ornaments, silver goods, and an extensive array of handicrafts, including pottery, woodwork, and metal wares, are among other items sold here. The shop donates a quarter of all profits to community projects in Cambodia, helping to improve life in the Southeast Asian nation. If you don’t know about the brutalities and shocking horrors of Cambodia’s not-so-distant past, take our word for it when we say it’s a very deserving nation that has seen many hardships. Travel to Yarmouth, Maine, and see the second-biggest rotating world in the universe, second only to the actual Earth. 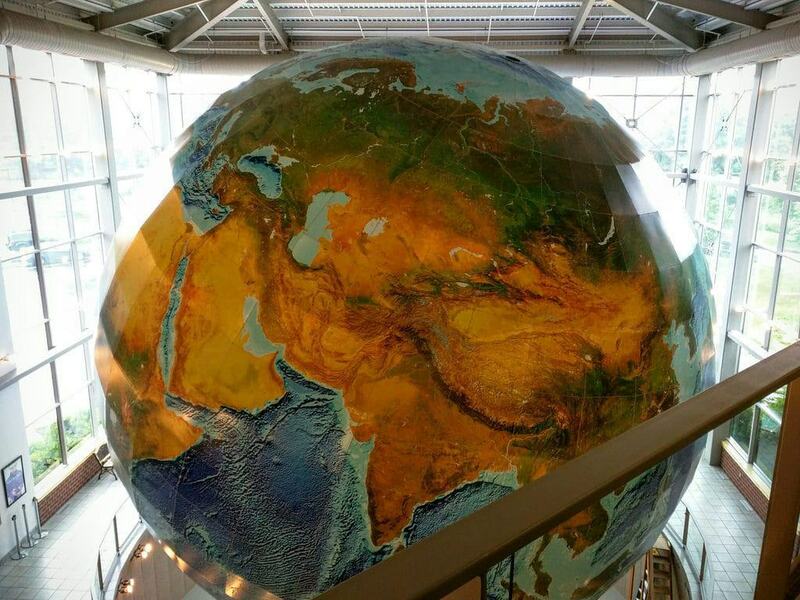 The gigantic rotating globe is contained inside a three-level glass building, astonishing all who clap eyes on it. Known as Eartha, the orb has a diameter of a little over 41 feet. Created as a scale-model of the world, it tilts and rotates, just like our home planet. Unlike the Earth, though, Eartha only takes 18 minutes to complete a full revolution. Designed by the planet-loving CEO of the DeLorme Mapping Corporation, David DeLorme, its grand stature earned it a place in the Guinness Book of Records. The building houses a number of other interesting displays too, including information about the increasingly popular hobby of geocaching and a large stash of geocoins. An old tavern isn’t perhaps the type of place where you would expect to find a large toy museum but that is, nonetheless, a quirky attraction in Waldoboro, Maine. Once a lively place for people to come together for drinks, banter, and maybe a spot of debauchery, the building is now crammed with antique toys and games that are sure to stir up a nostalgic pang. Items don’t only focus on the past, though; the collector also appreciates items for their aesthetic value. Perhaps more appealing to older visitors than to kids, there are plenty of unusual and controversial toys within the extensive collection. Mr. Fawcett was an avid movie-goer, having no TV in his youth to arouse his curiosity and provide entertainment. After his trips he loved drawing the cartoon characters that he’d watched on the big screen. 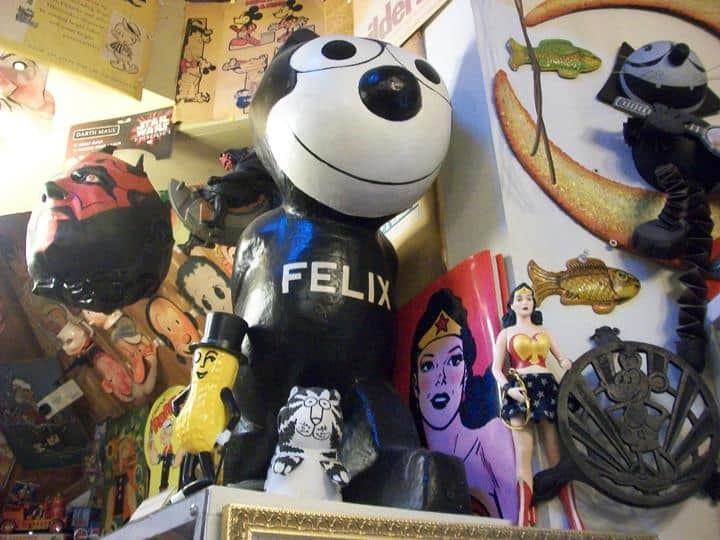 His passion for cartoons later extended to toys, and he swapped drawings of rare toys with another American who had similar interests. Allies rather than competitors, the two men would help each other to source unusual items. Originally kept as a private collection, Mr. Fawcett eventually decided to share his bizarre collection with the world. The museum opened in 1997. As well as the toys the museum has a gallery where you can see his early cartoons and drawings. 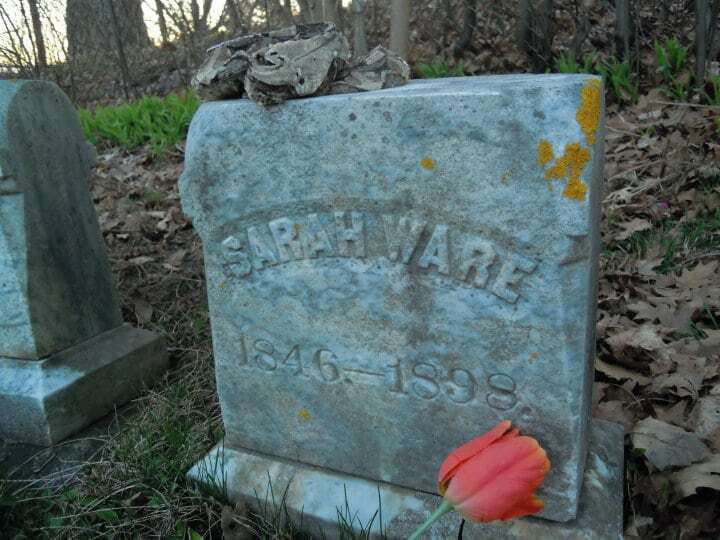 People who love a mystery or have an interest in the macabre will likely enjoy seeing the Grave of Sarah Ware in Bucksport. A reminder of gruesome events in the past, the grave contains the remains of a murder victim. Or, maybe it doesn’t. Nobody really seems to know for sure! The victim remembered by the tombstone was Sarah Ware, a 52-year-old lady who disappeared in 1898 while walking home after a visit to a friend’s home. Her badly injured body was found rotting in a field, with her head almost detached from the rest of her body. 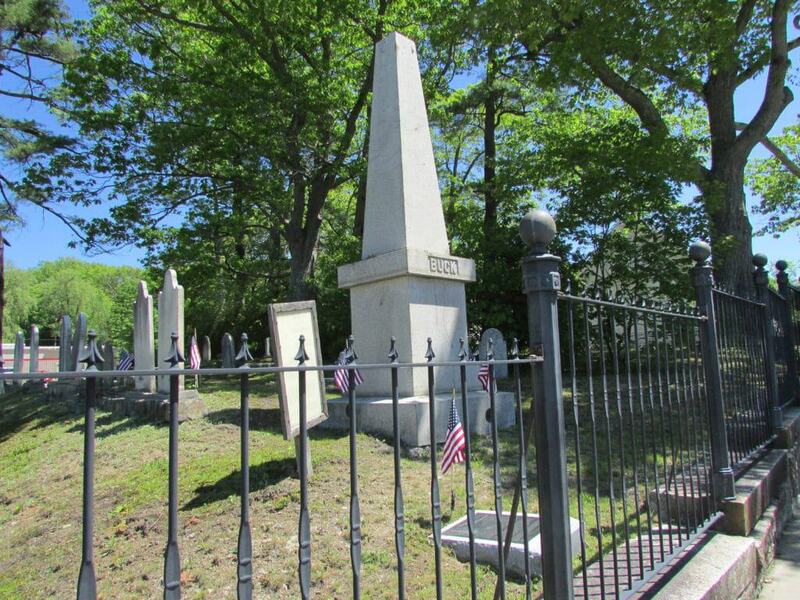 The body is thought to have been buried in Bucksport, with a gravestone erected in the lady’s memory. Some doubts remain, though, as to whether her family interred her remains elsewhere. The head, however, was kept for more than 100 years in an evidence room, the crime never solved. Eventually, Sarah Ware’s head was also laid to rest close to the grave in Bucksport. Whether it was actually buried near her body, or whether only Ms. Ware’s head lies in Bucksport nobody will ever really know. 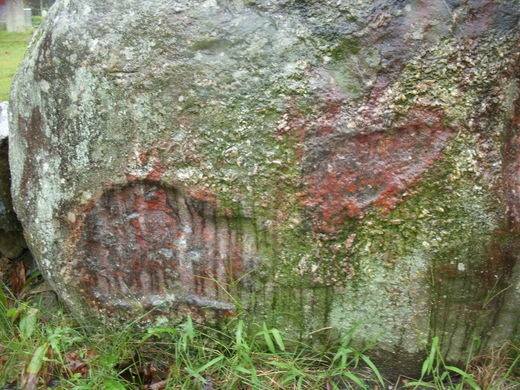 Another place in Maine with otherworldly connections and an unusual tale is the Devil’s Footprint in Manchester, which is just a short distance from the state capital of Augusta. Local lore tells of a team of road builders from times gone by who were unable to move a boulder out of the path of the planned thoroughfare. It is said that one of the crew clambered onto the rock and said that he would give Satan his soul if the boulder could be moved. The legend continues to say that the very next day the workers found the stone had magically moved overnight … and that the deal-making member of the squad had mysteriously vanished. Whoever knew that the Devil was so interested in road-building enterprises?! An unusual indentation in the stone is said now to be the imprint of Lucifer’s foot. It you ever wondered what size shoe the Devil wears, you could try looking here! The rock was put to good use and is now part of a wall around the 1793 North Manchester Meeting House, which is now used as a church. 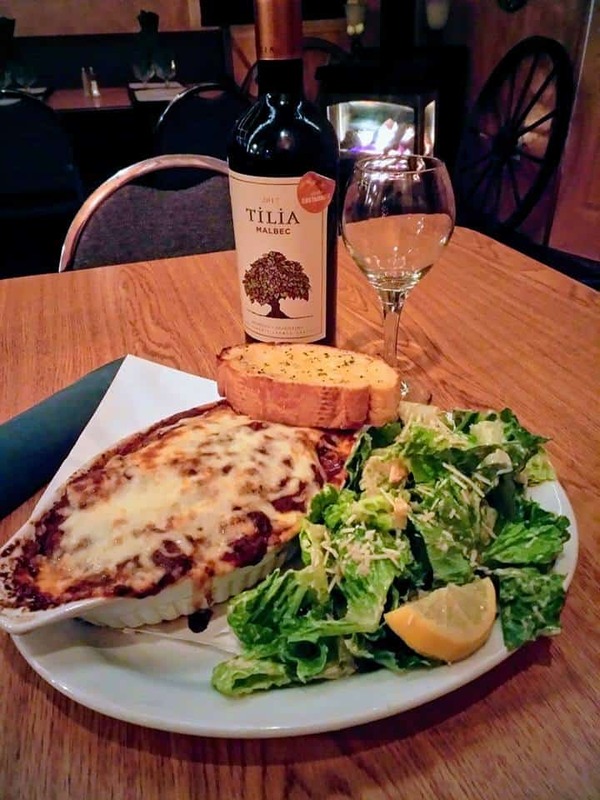 Tucked away in a small village close to the border with Canada, The Nook and Cranny Restaurant is a great place to stop by for a delicious lunch or dinner when in Baileyville. Making the most of Maine’s abundant fresh produce, dishes include plenty of seafood and fish, meats from locally reared animals, and vegetables straight from the farms. The menu has many exciting meals to tempt you; even the fussiest of eaters is sure to find something to make their mouth water. Lunch options include salads and sandwiches, burgers, chowders, and soups. Bounties from the ocean include fish and chips, seafood crepe, broiled or fried scallops, clams, and haddock. Alternatively, dig into a plate of chicken cordon bleu, a chicken and broccoli crepe, or shish taouk. If you happen to be around on a Sunday, don’t miss the tantalising brunch buffet. Later on in the day, whet your appetite with crab cakes, calamari, mozzarella sticks, pork dumplings, French onion soup, various chowders, and other starters before moving onto your main. With options like the Thai-inspired chicken, shrimp, or beef pad Thai, New York strip loin, stuffed shrimp, grilled salmon, various pasta dishes, and fajitas, there’s something for everyone to relish. Save some space for dessert—maple crème brulee, pecan pie, blueberry cheesecake, and chocolate cake are just a few sweet treats to finish with. Commemorating the founder of Maine’s town of Bucksport, the memorial of Colonel Buck is shrouded in tales of sorcery and curses. Having sentenced a supposed witch to death during the town’s early years, Colonel Buck received a curse by the condemned women in her final few breaths before she met her end by swinging from the hangman’s noose. The curse was that Buck would always have a mark to remind him of putting the woman to death. Other tales exist too, adding more intrigue. One account says that the unfortunate woman wasn’t a witch, but was actually carrying Buck’s unborn illegitimate child and that execution as an easy way to save face and make potential problems disappear. Another story says that the founder burnt the witch and her legs fell off, landing charred and singed at his feet. Whichever version you believe, if any, the stone monument, erected 75 years after Buck’s own death, has a rather unusual mark that looks a lot like a pointed witch’s boot. 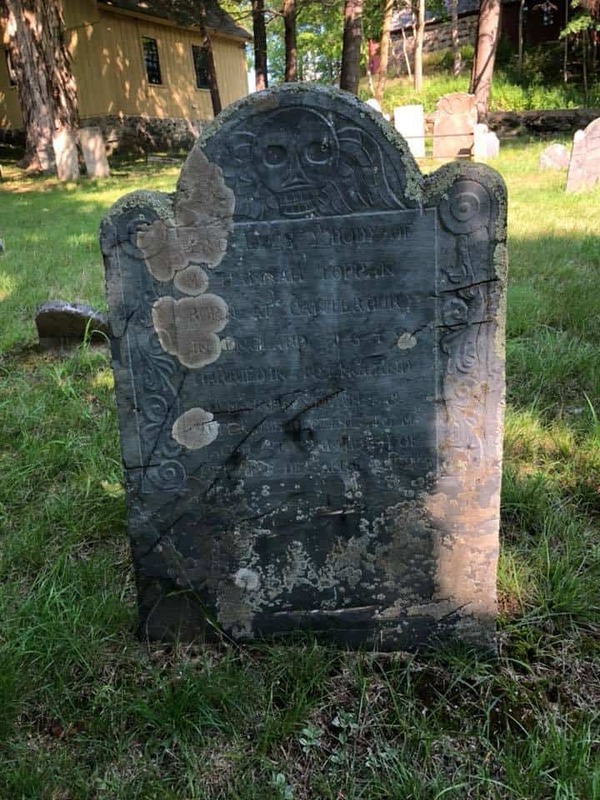 Maine has several hidden gems related to witchery and gravestones—it’s a great destination for fans of the supernatural, unexplained, and spooky. York’s Witch Grave is another such odd place. What makes Mary Nasson’s grave so interesting isn’t so much the stories about her dastardly deeds during her lifetime—though they are pretty interesting—but the actual appearance of her gravestone. Found in the small 17th-century cemetery at the Old Burying Yard of York, Mary Nasson lies underneath a tombstone erected in her memory by her husband. With mournful words of devotion carved onto the stone, it is obvious that Mary would be sorely missed by her husband and children. A portrait of Mary can also be seen on the stone; she was, according to the picture, a fairly average-looking lady with quite large eyes, a thin nose, and a thin smile. The image shows her with her hair up and wearing a loose, flowing garment. She certainly looks like quite an off character. A thick and heavy slab of granite sits on top of the earth. Local legends say that Mrs. Nasson, who passed away in 1774, was a witch. A rather obvious witch who was always surrounded by a murder of crows and who performed spells with herbs. It is said that the stone was placed there to stop the witch from rising up from the dead. Look closely behind the Town Hall in Harpswell and you’ll find the well-concealed entrance for the Cliff Trail. A rugged and fairly challenging walking trail, there are section of high cliffs with steep drops. It may not, therefore, be suitable for children, pets, people with vertigo, or those who are not so agile or steady on their feet. For those who can muster up the courage to teeter along the tops of the cliffs, however, the views are nothing but spectacular. The trail leads along the coast and includes a section of Strawberry Creek. See mudflats and forests as you complete the walk. There are several enchanting areas that have been designated as fairy house zones—areas where people can get creative and use natural materials, like stones and wood, to create their own mini dwellings. If your creative juices aren’t flowing, you can simply admire the handiwork of others. If you were thinking of starting up a collection of something, what would you consider? Probably something quite easy to come by, something that you find attractive, and maybe something a little bit quirky and different to the norm. Would umbrella covers immediately spring to your mind? Probably not! This is precisely what Nancy 3. Hoffman decided to turn her attentions to. And that’s not a typo—the Maine local really does have a numerical figure in the middle of her name! Portland’s Umbrella Cover Museum is the only museum in the world that is dedicated to umbrella covers. Unsurprising, really! Despite the odd subject, you may be surprised to find that the museum is actually pretty interesting. You’ve probably never really paid that much attention before to the details on the simple umbrella sheath. But there are so many colours, patterns, and designs that make them almost like waterproof pieces of tubular art. Ms. Hoffman found a few umbrella covers in her wardrobe with no umbrellas to cover. Gathering more from her friends, her museum was opened with around 80 umbrella-less covers. Having grown and grown both because of active efforts by Ms. Hoffman and donated sheaths, the museum now has around seven hundred covers. One can only imagine the fates that befell the poor umbrellas. Maybe they were left on trains and buses. Perhaps they blew inside out in high winds, never to work properly again. They may even have blown away in heavy gusts. We’ll never know, but their partners remain, on view, in Maine. And that concludes our list of hidden gems in Maine. With more than its fair share of oddities, perhaps the state should be known as mind-boggling Maine.